Please forgive me for the title of this post. We are a little unpredictable in the kitchen. One day it’s chocolate cake and the next day it’s baked oatmeal. One day it’s chicken fried steak and the next day it’s sushi. 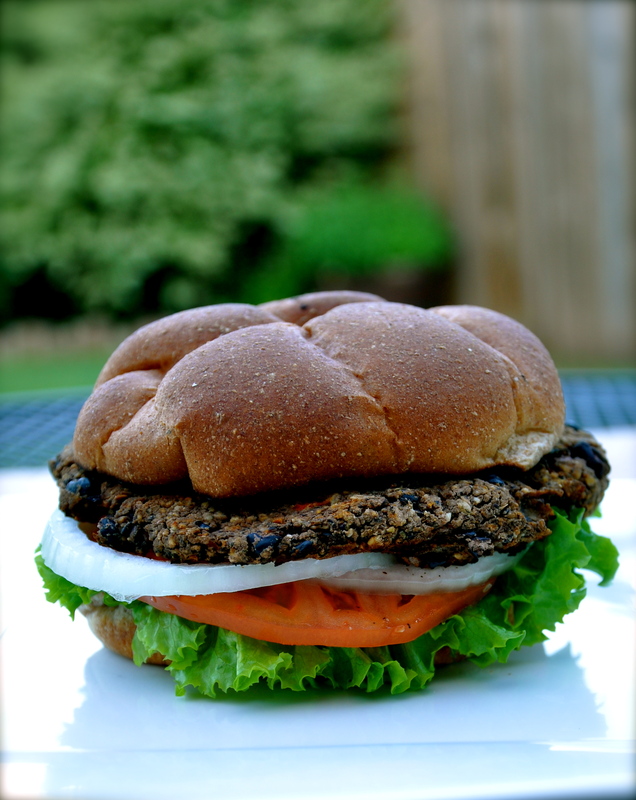 Today our plan was to smoke some ribs; instead, we made up a batch of black-bean veggie burgers. It’s just this kind of spontaneity that keeps things interesting around here. We have, in fact, been looking for a great veggie burger for a long time. We’ve even had a few veggie burger disasters in the past few years. Today, we got serious and did our research first. There are a lot of great tips online for veggie burgers. One trip to the grocery store and a fight with our worn out food processor and we had a successful veggie burger experience. We served these with roasted vegetables along with chips and salsa. I’m such a hard-core carnivore, but I can honestly say I didn’t miss the meat at all. We added cheese, onion, tomato, lettuce, avocado, and roasted pablano peppers. Before you start thinking we are too health conscious, I must admit we balanced it all out with strawberry pie for dessert! 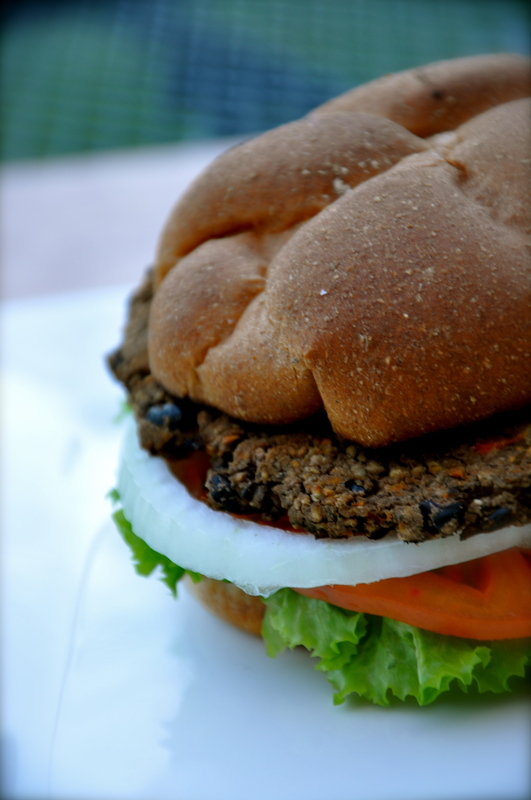 *We adapted this recipe from www.thefrontburnerblog.com along with several other black bean burger recipes online. Preheat oven to 300 degrees. Toast ½ cup pepitas and 1-teaspoon whole cumin seeds in a dry skillet. Next, add the oats, toasted pepitas and toasted cumin seeds to your food processor and grind until coarsely chopped. Grate the carrots; place them on a double layer of paper towels and squeeze out as much liquid as possible. Add the carrots to your mixture in the food processor. Add 3/4 of the beans, all the spices, and the olive oil. Once all of this is in the food processor, mix it all together. Coarsely mash the reserved beans in a large mixing bowl. Add the contents of the food processor to the crushed beans. Stir to combine. Oven: Form into 8-10 medium sized patties. Place patties on a non-stick baking sheet and bake at 300 degrees for 40 minutes, turning once half way through the cooking time. Grill: If you want to grill these, pre-bake them at 300 degrees for 30 minutes and then put them on the grill to brown a little bit. I want one badly, and it’s 8 am. Thanks for sticking with me at lunch today even though I guess I truly inconvenienced our waitress. wink, wink.